It's so exciting to hear that so many of you are going to be trying Whole Brain Teaching this year! I know I am not alone in saying this, but when you do, you will love it and want to try more and more from this great program :) If you want to read all of my posts about it, you can by clicking HERE. Having received a lot of questions about how to start using WBT in your classroom, I want to share with you the top four principles of WBT, also known as the "Core 4". The Core 4 are, simply put, the four main things you can incorporate into your class to implement Whole Brain Teaching quickly, effectively, and with immediate results each and every day. This is a wonderful call & response management technique that I am sure you have used in the past using different words, but with the same premise. As the teacher, I say, "Class?" and my students stop what they are doing, fold their hands and look at me, giving me their undivided attention, but not before replying, "Yes!". They key is they say "Yes!" in the exact same voice/style that I said "Class?". I have posted more about this HERE, so head over for some additional ideas as well as a helpful video! While Class-Yes is a quick and fantastic way to get the class together, there needs to be some motivation to ensure that this is done super quick and you aren't having to call out Class-Yes more than two to three times to get their attention. This is where the Scoreboard comes in VERY HANDY! 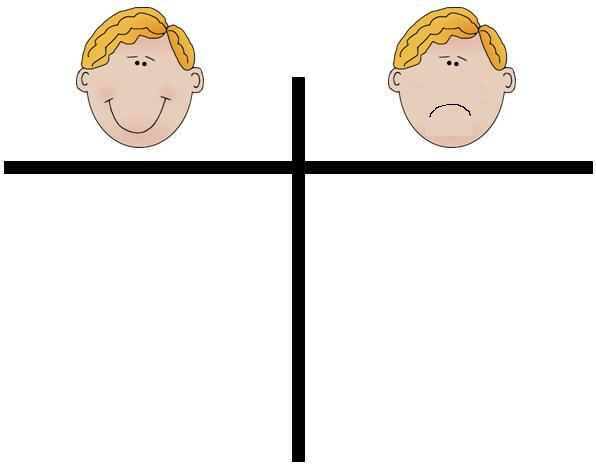 The setup is simple- a T-chart with a smiley on one side and a frown on the other. As you use Class-Yes, you reward kids with a smiley or a frown for how well they came back together. The celebrations or moans are quick in response to the point on either side of the chart. I have posted more about the Scoreboard HERE. Disclaimer: The third and fourth part of the Core 4 are meant for use during your teaching. Don't feel the need to do all of these on the very first day! As with everything, do what you are comfortable doing. It took me a while to use Mirror and Teach-Okay. I used Class-Yes and the Scoreboard for weeks before I felt confident enough to introduce them!!! Now that I am more confident with Whole Brain Teaching, I am LOVING the Mirror!! I admit, when I first started, I was not doing so well because it was hard for me to think of gestures to teach concepts. BUT, that changed when I started getting into the flow of WBT and there were times I even had the kids help! Mirror allows the kids to repeat your gestures as if they are your mirror as you teach a new concept. You teach a little with gestures, they gesture along with you. 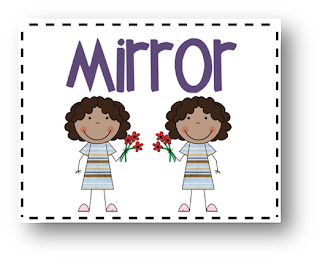 One thing to remember- mirrors don't talk!- so the focus is on your motor & visual cortexes and linking movement to their learning. If you do want your kids to repeat words and gestures, you would say "Mirror Words" and this time, kids would repeat what you said and your movements. This engages their motor and visual cortex as well as their Broca's and Wernicke's Areas. The gesture for mirror is holding up both hands, palms facing out and saying "Mirror". The kids repeat only using their hands, palms out. If you are using Mirror Words, you say "Mirror Words" and have one hand up and the other hand start at your mouth and them go to the regular Mirror position. How many of you have used Turn & Talk? This is similar, but instead of always using open-ended prompts, students are repeating the gestures and the teaching points to their partners. One will speak first while they both use gestures, then two will talk while they both use gestures, and this will continue until you call them back with Class-Yes. As the lesson continues, there will be times they will need to explain their thinking with examples use the word "because", but it's important that both students are taking turns talking and always gesturing during this time. 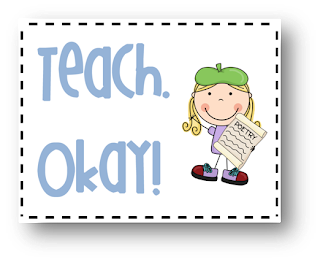 The gestures for starting Teach-Ok is clapping and saying "Teach" while the students clap and reply "Okay". Just as you did with Class-Yes, mix it up to keep it fresh & fun!! Remember this WONDERFUL video? It's what got me hooked on WBT :) Watch it again for the Core 4 (Class-Yes, Scoreboard, Mirror & Teach-Okay) and think about how you would incorporate them into your class this year. Don't you just LOVE WBT in action? And, I totally would LOVE to have this teacher, she's amazing!! As I stated above, it took me WEEKS to feel confident enough to incorporate all of these steps into my classroom, so don't feel you have to do even the Core 4 from the very beginning. I started with Class-Yes and the Scoreboard and went from there. 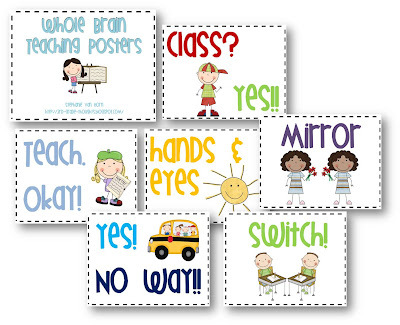 If you are interested in my WBT Signs, you can find them in my TpT Store for free! 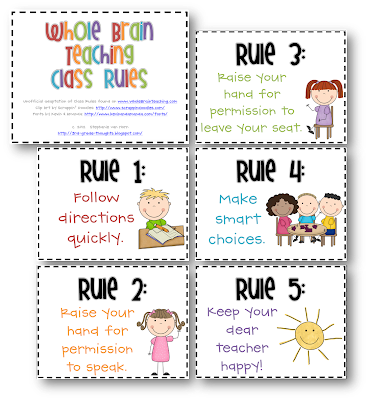 They also match a set of WBT Classroom Rules. Love WBT! I am definitely starting this new school year off with the Core 4. I have been watching Chris Bifle's videos on youtube to prepare myself. Love the video you posted. It really gives you a better idea of the "Mirror." Also, thanks for the freebie of the rule. I just downloaded but am having trouble with the words showing up on the posters. I downloaded AR but it still is not showing. Not sure why? I just got home from a WBT conference in Missouri and can not wait to use it this year! Your blog has helped me a lot! I was at the Union conference too! I am loving all your info on WBT. I soooo want to implement it this year and have been poring over your posts. Thanks!! I loved that video when I saw it. It's the one that really got me thinking I could do this. That, and I had my eight year old daughter watch it and she said she would love to be in a class that did that. Some of the other videos I've watched though, have changed the rules slightly. Did you learn anything about that in your conference? How did they feel about changing up the wording of the rules? In our 3-5 group, we didn't talk much about changing the rules, but in the whole group, Chris Biffle spoke highly of the "art of teaching" and how we, as teachers, need to make WBT our own. That was so refreshing! I feel that WBT is a teaching tool- one of many I use in my room- and so I am comfortable with changing up the rules to fit my school's PBIS and to fit my style as a teacher. That's just me, though :) WBT has a great forum on their website where you can ask questions and hear from many WBT veteran teachers, including Chris B. himself- that might be your best bet! He didn't say anything specifically about the rules that have been changed. He did introduce rule 5 by saying "the highly controversial rule"
Several teachers in my building have decided to start using WBT this year. We are all looking forward to learning together and bouncing ideas off one another. Thanks for sharing your knowledge and experience! Just left the WBT conference and I really loved it! I am so excited to use it in my classroom! Your signs are so cute!! 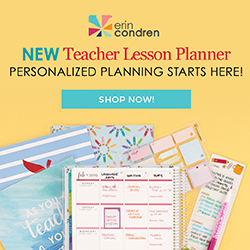 I am new to this WBT so I will definitely be coming to you as a resource! Just went to the conference this week in Missouri! I loved it and can't wait to use it in my classroom. I was at the conference in Union! Isn't this stuff GREAT! I spent most of the time with the "advanced" group. My kids love the choo, Choo train class/yes the best! "Choo, Choo, Class?" "Choo, Choo, yes" while pulling your arm down like you would to pull the horn on a train or semi! Love your blog and ideas. I check in on you everyday! Teacher: Goodness, gracious! Students: Great balls of fire! T: Ba da ba ba ba S: I'm lovin' it! T: All set? S: You bet! T: Ready to rock? S: Ready to roll! Would these work just as well as the Class/Yes ? Thank you for all your posts on WBT. I started being interested after watching the video you posted and the Kindergarten video on youtube. I want to implement Class/Yes, Mirror and Teach/OK - I can't wait. Do you know of people who do WBT without the Scoreboard? I teach using the Responsive Classroom approach and the Scoreboard just doesn't fit. Thank you very much for your reply, Stephanie! I'm very eager to start teaching this way! I love this! You really sum up WBT and make it really easy to understand :) Thank you so much! I'm one of thoe teachers that'll be trying out WBT this school year and I'm sooo excited! Thanks for being an inspiration! On question I have is; How do the kids know from time to time whom they are going to pair up with for the "teach! Ok!" part? Amazing blog on the Core 4! I was also pleasantly surprised to see so many people that attended the Union, MO conference commenting on your blog! So nice to know there are people near my area living in TEACHER HEAVEN! Your posts are helping me get back on track. So sad I didn't make it to the convention in Missouri, I just didn't want to go by myself. Clearly I missed out! I actually don't like the video. The kids are like robots repeating everything word for word. I don't mean to say this to be mean, but it just worries me that they are just repeating everything. It is teaching them to think a certain way and not really come up with their own way of thinking. I don't think it's creating problem solvers and thinkers just one way to do things. I don't want to hurt anyones feeling, but maybe I just need to see more of this. 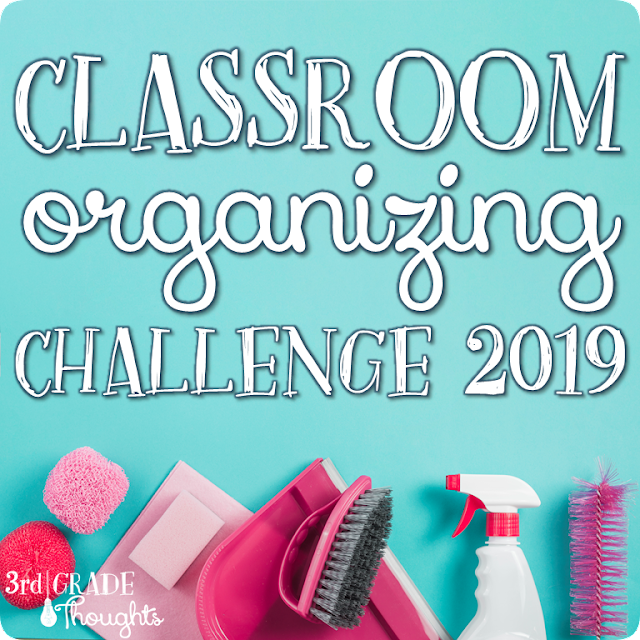 I definitely encourage you to see more- it's a new way of learning and I noticed that my kids grasped content, terms, vocabulary, and steps in a process so so so so much better when they had gestures and repetition attached to it. Sure, my higher kids always caught on no matter what I did, but when state tests rolled around I saw kids (esp. my strugglers) doing math gestures and mouthing the words when solving a problem, I knew this teaching style was something special. That being said, if the only thing you did as a teacher was call & repeat then, yes, that wouldn't be so good :) As with everything in teaching, it's a balance and I really found that minilessons that included small chunks of teaching, gestures, repetition though teaching one another, and quick & easy attention-getters worked really, really well. Totally love it...how does it work in your third grade classroom? I also teach third and this is the first that I've seen this in action. I've heard about using brain breaks to et right/left brain aligned before teaching but not actually doing during instruction. Do you have any tips for someone trying to implement this school year...like how to start and maybe discuss how to modeled it. Thanks! Thanks so much for your helpful posts on WBT. I'm new to the whole concept, but am looking forward to implementing many of the ideas. I printed your old list of rules, and I really liked your former rule #3 (Respect others, respect yourself, and respect your school) and also rule #5 (Be safe, be kind, be honest)...will you be making those rules on your new cards? I love the new style - especially how they match your super cute WBT attention getters!!! Thanks for sharing all your great thought/ideas/experiences with the rest of us!! I was just wondering if there are any books that I can read on Whole Brain Teaching. I am hoping to start this this year and want to be able to share with my staff. First of all thank you so much for sharing all that you learned from the conference. I really wish I could have gone.. it's just not close enough to me! Second, I'm having a hard time understanding the difference between mirror and mirror words. I did mirror in my own room last year, and the students would repeat my hand gestures and words. Was I actually modeling Mirror Words? 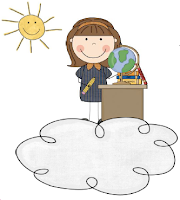 In the video above, her students are repeating her words and she used "mirror". I've been searching the web... and am still not completely clear on the difference between the two. I'd appreciate any help on it! :) Also, what do you use to have them stop "mirroring" you? So, I think they have adjusted it- Mirror is just using gestures and Mirror Words means repeating and using gestures. To be honest, I use "Mirror" and have the kids repeat what I say while using gestures- do what works best for you! Kids know when Mirror is done because I go straight into "Teach-Okay"
Thank you so much for this great post! This really is clear and concise in explaining the basic 4 WBT strategies. I have been gradually adding more and more to my teaching for the past 3 years. I am looking forward to using the Mirror and Teach/Okay this year. I have also been able to share my enthusiasm for WBT with my K team. I showed this same video to them to help them see it in action. Thanks so much for the great signs!! Thank you, thank you, thank you, for your post... if it weren't for your blog I would not have heard of Whole Brain Teaching. The video you posted was amazing! I will definitely be looking into this. I think everyone on the internet agrees she is the best 1st grade teacher EVER!! We all want to be in her class. :D Hope you don't mind that I gave you a little publicity on my blog as well. Thanks for the whole teaching posters. 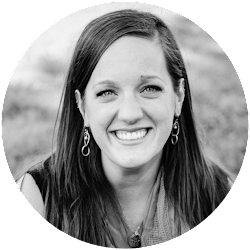 Stephanie - I just added a link on my blog to this post as a great example of the core 4. Thanks for posting!